The Concert Winds is an exciting new enrichment band for musicians 10 to 14 years of age. The band rehearses once a week and musicians will receive regular professional instruction in full rehearsals as well as individual and small group settings. Musicians with at least one full year of playing experience on their instrument are welcome to join. Our season begins in September and runs until May and we pack a lot of fun activities into the year, including public performances, social events and a year-end banquet to round out the season! 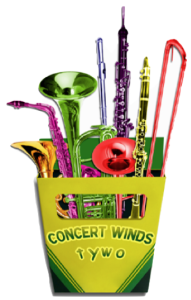 If your son or daughter is new to their instrument and you’re looking for a way to enhance their playing skills in a welcoming, student-focused group environment, as well as make new friends, get great instruction, and (most importantly) have fun, then consider the Concert Winds! Rehearsals take place every Wednesday from 7:00-8:30pm at Bayview Glen – 275 Duncan Mill Road, Toronto (Don Mills Road north of York Mills). The first rehearsal is scheduled for Wednesday September 24, 2014. Our membership fee is $295 for the season, which includes about 36 rehearsals, workshops, concerts, and a personalized music folder. Enrolment in the Concert Winds is open to all musicians with at least one year of playing experience. For for more information, including a complete rehearsal and performance schedule, click here. You can also email us at backstage@tywo.ca or call 416-321-TYWO (8996) for more registration details. 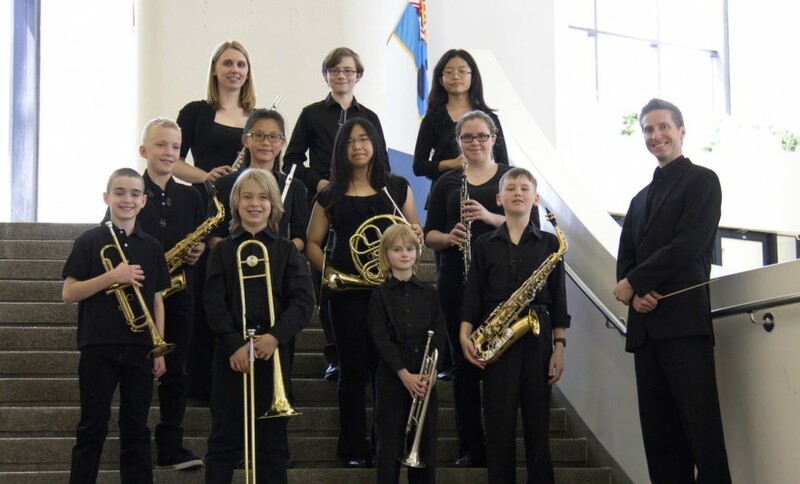 The TORONTO YOUTH WIND ORCHESTRA (TYWO) is a community-based music program providing life enhancing experiences for young people through the study and performance of instrumental music. Now entering its 24th season, this multi-award-winning program has gained nationwide recognition, boasting three concert bands and several smaller ensembles.